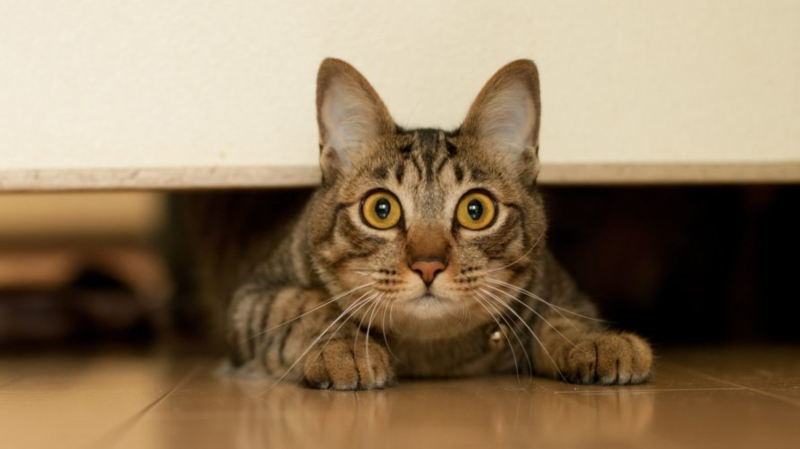 Right on the heels of our reactivity post for dogs, I’m sure a lot of cat owners were thinking “that sounds like a pain, thank goodness I don’t have to deal with that!”... but cats can definitely come with their own share of behavioral difficulties. Before I started working with cats professionally, I had no idea that “Cattitude” was a behavioral problem! 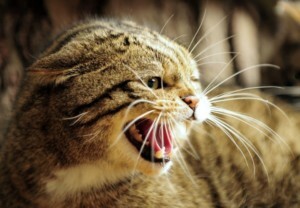 I thought that all cats are temperamental and will bite or scratch with little warning. Phew was I ever wrong! So here’s the actual deal: A lot of cats struggle with a behavioral difficulty called Overstimulation. 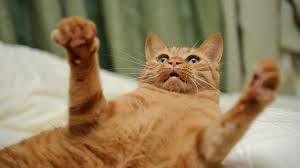 Essentially, when a cat’s environment makes them feel uncomfortable, they will act out aggressively. Cats are extremely well attuned to their environments and when something unbeknownst to us makes them uncomfortable or unhappy, they act out, seemingly without warning and for no reason. Of course, there is always a warning, and always a reason! Now, every cat has a different threshold for overstimulation, so it is important to recognize these in every cat you work with, and understand that every cat is an individual. 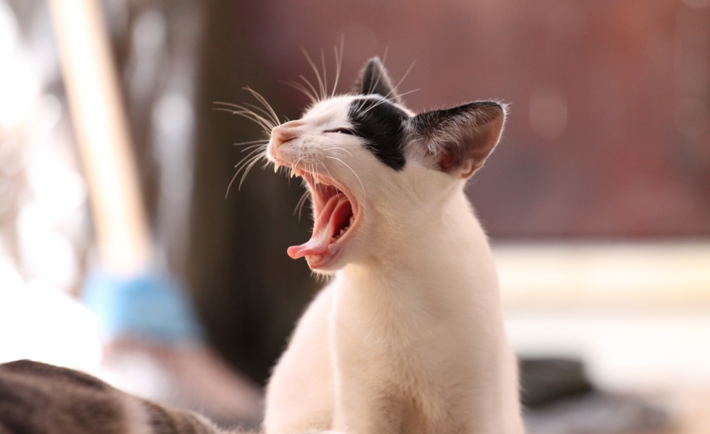 Again, while every cat is different, there are a few telltale signs that a cat is getting agitated and tempted to lash out aggressively. It is important to take note of these BEFORE the cat feels pushed over their threshold! I’ll outline a few of those telltale behaviors so you’ll be prepared to remove a potential stressor before your cat becomes overstimulated. Dilated Pupils- when cats start to become stressed about their environment, their pupil’s dilate. The goal is to be able to take in as much stimuli as possible, because they feel there is a potential threat in their vicinity. If you notice this, remove the threat! Flattened Ears – again, a very telltale sign of an angry kitty! A cat with flat ears (otherwise known as airplane ears) is NOT happy and is very uncomfortable. Back awayyyy from the airplane cat! Tense musculature – if you notice that a cat is not luxuriously lounging while you’re petting them, but rather tense and tight, they are likely not enjoying the petting. They may be tensing up to run away, or tensing up for a fight… you probably don’t want to wait to find out which! Nipping and swatting – these often come as a package, but neither of these behaviors are friendly. While, yes, many cats participate in play fighting with other cats, YOU are not a cat and they are NOT playing. A cat who nips or swats at you is not a comfortable cat. End of story. So, now that we have established WHAT an overstimulated cat is and WHY they act that way, how do you deal with one? Well, it is important to recognize your cat’s boundaries. You have to meet every cat where their comfort level is and only there. Learn to recognize their warning signs of arousal and STOP petting at the first sign. Continuing to interact with the cat after they give you a sign of discomfort is pushy and kind of rude. If you’re just getting to know a cat, keep your petting sessions short. Wait for them to initiate contact, and then oblige with a pet or two! Once a cat shows you a sign of overstimulation or discomfort, wait a while before attempting to pet them again. Be sure to totally separate the petting sessions with a looooong pause. Only pet your cat where they LIKE to be petted. 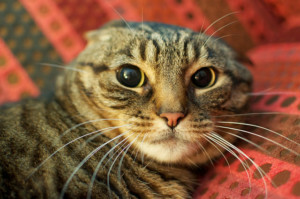 Many cats show discomfort at being pet places other than their head or chin, and that is A-OKAY. After all, petting a cat is meant to be for their comfort and pleasure, right? You may be able to work with some cats to adjust their threshold of overstimulation. For example, by pairing short petting sessions with something your cat likes (often yummy food), you can show them that being petted is a happy occurrence. However, cats (especially adult cats) notoriously struggle with change, so it is important to be ready to accept their preferences the way they are. Finally, remember that punishment is NOT the way to handle aggressive behavior. If you yell or physically punish a cat who is telling you that they are uncomfortable, you will only increase their discomfort and anxiety, and you will teach them that they need to react much more dramatically to get their point across. Learning to read your cat’s body language is a really important part of bonding with your cat. It is so necessary to understand boundaries, and find appropriate ways for you and your cat to enjoy each other’s company! For example, a cat who is easily overstimulated by touch may love playing with wand toys and other interactive types of play. In those ways, you’re still spending quality time with your kitty, but its on their terms… which is the way it should be, right?